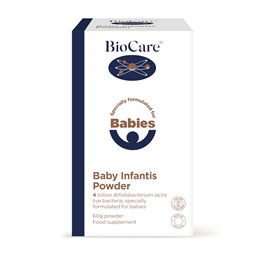 BioCare Infantis Powder is a probiotic powder ideally suited to supplementing the diet of new born babies and up to weaning. Bifidobacterium lactis has a unique role in human micro-ecology. At birth the gastrointestinal tract is sterile, and as such, is open to colonisation by many micro-organisms present in the environment. In breast-fed infants up to weaning, the initial microbial flora is dominated by Bifidobacteria, most notably Bifidobacterium lactis, with the Lactobacilli being in lower numbers and the Streptococci and Coliforms in lower numbers still. 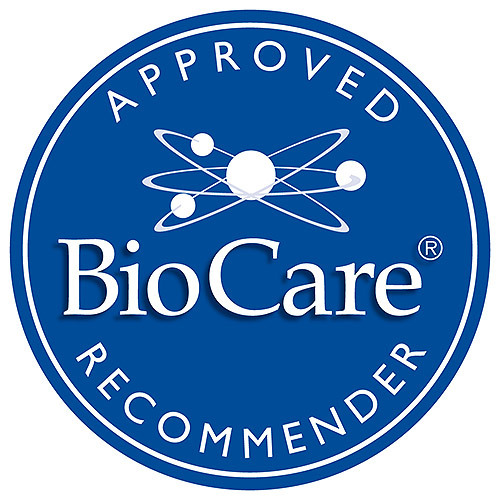 In bottle-fed infants, Bifidobacteria such as Bifidobacterium lactis are not normally present in high numbers and the flora is instead a mixture of Lactobacilli, Coliforms and Streptococci. Human strain and acid resistant. Providing 4 billion viable cells of (if stored correctly). Children from birth - 1 year: One gram (a quarter teaspoon) mixed into sterile water, taken daily with the baby`s feed, or as professionally directed. 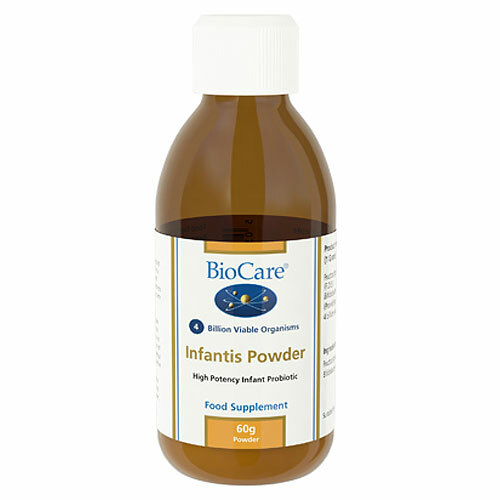 Below are reviews of Infantis Powder - High Potency - 60g by bodykind customers. If you have tried this product we'd love to hear what you think so please leave a review.